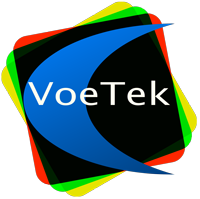 VoeTek specialises in the effective use of digital technology. We provide independent guidance to clients in both the private and public sectors, from the development of strategy to successful delivery and implementation. We also conduct research and development into the effective application of technology to improve public policy and public services, and develop mobile apps. Our CTO, Jerry Fishenden, is co-author of the best-selling business title Digitizing Government, a practical handbook on the successful implementation of new digital business models. Our highly-rated free app, London Explorer, is available for both iOS and Android. It provides an interactive way of exploring London’s famous and quirky places. It’s a great way to learn about London and its famous, quirky and lost places. Download it now for Android on Google Play and for Apple iOS in the Appstore.